Anthony Bourdain attends the Turner Upfront 2016 at Nick & Stef's Steakhouse in New York, NY, on May 18, 2016. As the loss of Anthony Bourdain continues to reverberate following his suicide on June 8, officials in New Jersey are considering honoring the traveling storyteller and chef with a food trail inspired by his CNN series "Parts Unknown." Bourdain, who grew up in Leonia, New Jersey, visited 10 eateries in the state for a 2015 episode of "Parts Unknown," including his infamous visit to Donkey's Place in Camden, where he declared its cheesesteak better than any in Philadelphia. "I learned something here today – Jersey cheesesteaks. I'm not saying they're better than Philadelphia. Yeah, I am actually, so there," Bourdain said in the episode. Other locations visited during the show include Fort Lee's Hiram's, where Bourdain ate fried hot dogs, Long Beach Island's Kubel's Restaurant, where he enjoyed clams and drawn butter, and Asbury Park's Frank's Deli, where he had the obligatory pastrami. He also visited Atlantic City to take on a tower of oysters at Doc's Oyster House. 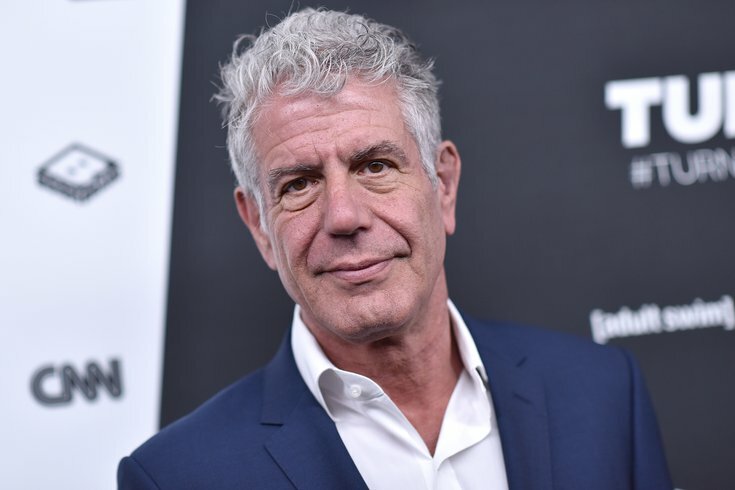 On Monday, New Jersey Assemblyman Paul Moriarty introduced a resolution that would create the Bourdain food trail through the state's Travel and Tourism Division. In the meantime, you can revisit the episode and begin planning a trail of your own in honor of Bourdain.